Please Note: Due to delivery volume on Valentine`s Day, no changes to orders can be made after 18:00 AEST Thursday 7th February for Thursday 14th deliveries. 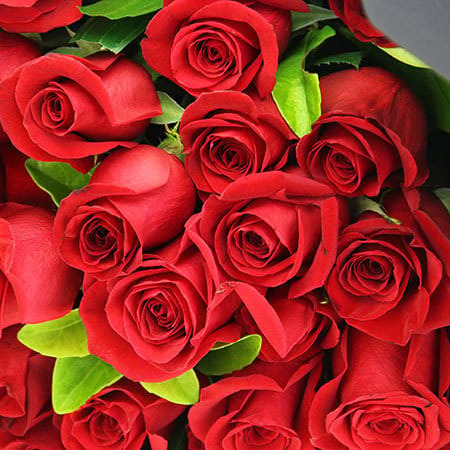 It is also important to note we are unable to guarantee delivery times on Valentine`s Day - roses will be delivered anytime between 7 - 5.00 pm (business) and 7 - 7pm (residential). No re-directs will be possible if the recipient has left the delivery address for the day, however we will try, where at all possible, to accommodate your needs if this situation does arise. We thank you for your understanding! 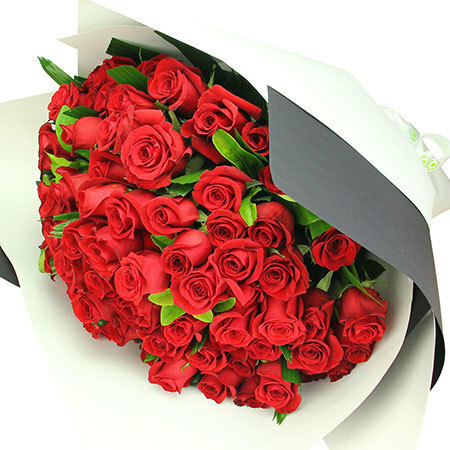 Order your 99 stems of red roses for Valentine`s Day delivered in Sydney metro regions via this online florist store, email our fabulous love cupid floral consultants at sales@flowersforeveryone.com.au or give us a call on 1800 66 66 46.